Replica of Harald Bluetooth’s rune stone, next to St Katherine’s Church in London. Photo: Michael Andersen. 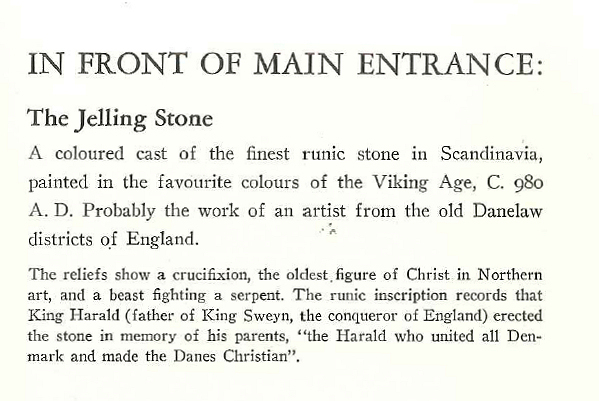 A replica of Harald Bluetooth’s rune stone was placed at the Victoria and Albert Museum in London as part of an official Danish exhibition in 1948. The replica had been made in Denmark as an exact copy of the original in Jelling. After the close of the exhibition the National Museum in Denmark, possessing a replica already, declined the return of the stone weighing 11 tons. It therefore remained in the Victoria and Albert Museum. 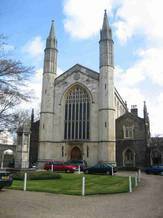 On the initiative of civil engineer Aksel Møller, and with the consent of the National Museum, it was then moved to the Danish church in London, St Katherine’s near Regent's Park. Here it was unveiled by the patron of the church, the Danish ambassador Vincens De Steensen-Leth, at the annual meeting of the church in March 1955. The replica was painted around the time of the move. The experts of the day did not agree on the choice of colours but Aksel Møller was certain that he had found the colours most likely to have been available during the Viking Age – white, red, yellow and black. The Danish church in London, St Katherine’s near Regent's Park. Photo: Michael Andersen. 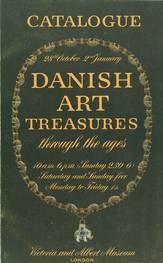 The catalogue from the Danish exhibition at the Victoria and Albert Museum in 1948. 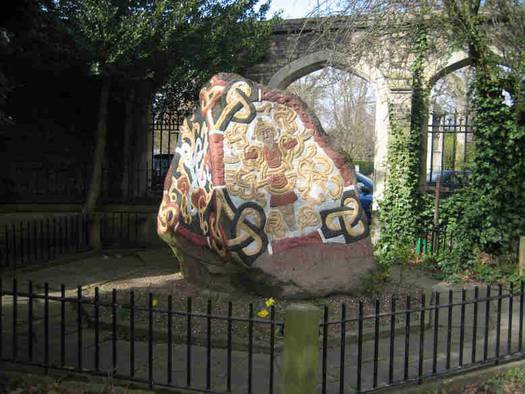 See the catalogue's description of "The Jelling Stone"